This cheerful, vibrant red "campfire" mug can't help but induce a smile! The fun script and option to have a name personalized make this a memorable gift for any occasion. 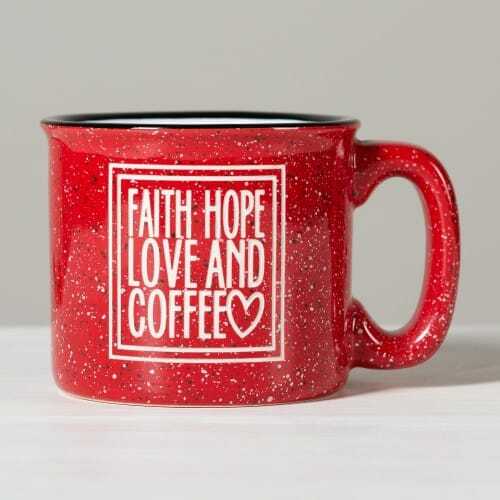 The phrase "Faith Hope Love and Coffee" provides a lighthearted yet thoughtful reflection on the most important things in life for a lover of coffee!